From time to time you need to upgrade the look of your materials. 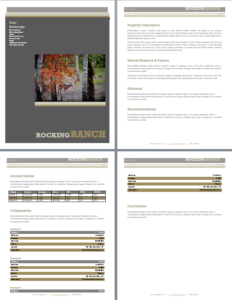 REALSTACK has create a carefully crafted Broker Opinion of Value template in Microsoft Word just for land professionals. Use as is or change the colors, fonts, and more to suit your brokerage. Fill out the form to the right and get the FREE download.